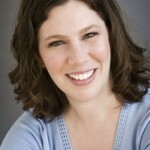 Amy Eisenstein, MPA, CFRE specializes in fundraising consulting for local and national nonprofits. Her â€œno-nonsenseâ€ approach to fundraising yields big results for her clients and readers. Amy is a regular contributor with Step by Step Fundraising, and she’s back today with another very insightful and helpful post about how to keep your board of directors engaged and passionate about the group’s mission.. If youâ€™ve never visited Amyâ€™s site, TriPointFundraising, I highly suggest that you take a few minutes, when youâ€™re done reading this piece, to click on over. She has a wealth of useful information for people actively engaged in raising money for non-profits. I want to thank Amy once again for her generosity in sharing this very valuable information about donor identification with us. I hope you enjoy this post and get to know Amy better! Ever wonder why your board members arenâ€™t â€œout thereâ€ fundraising for your organization? Want to keep your board members enthusiastic about your organization and itâ€™s mission? Here are 5 surefire ways to keep the members of your board members from being bored. Unfortunately most board meetings are boring, but they donâ€™t need to be. Start by throwing out Robertâ€™s Rules and eliminate the boring reports. Shake things up! Have a meaningful discussion about programs and your organizationâ€™s mission. Is each board member treated differently and relied upon for their specific area of expertise? Each member should serve on your board for a specific reason. Make sure youâ€™re fully tapping into their networks and special skills. Be sure to include an important discussion as part of each board meeting. Prepare members on the topic of the discussion, including pros and cons and lead a meaningful discussion. Ask your board members honestly and sincerely for their input and expertise. Let them know their opinions are valued. The purpose of your board meeting should never be just to â€œreport outâ€ to board members. Include specific goals. One of your goals will be to update the board members and provide information, but thatâ€™s only one goal. Think of your board meetings as an outlet for having discussions, making decisions and moving forward on specific projects. Include a feel-good element that reinforces your mission, or a â€œmission momentâ€ (I believe Gail Perry coined the term, but I may have heard it elsewhere) as a part of each meeting. Each meeting should have a component where board members are reminded why they serve on your board. It could be a live client testimonial, a letter from a client, etc. Whatever story is shared should be so moving that board members are talking about it with each other, at work, and at home for a week or more! If we want to keep our board members energized and engaged with our organizations, we need to provide them with meaningful and fulfilling experiences. Happier, more enthusiastic board members are much more likely to be advocates in the community for your cause and your organization. Get them jazzed up so they spread the word! Iâ€™m sure youâ€™ve attended your share of boring baord meetings, as well as some that have been invigorating. Share your best or worst board meeting moments in the comments. 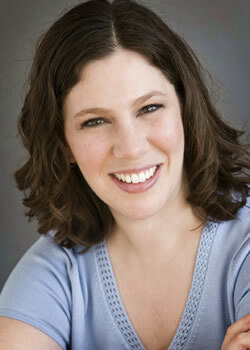 Amy Eisenstein, MPA, CFRE specializes in fundraising consulting for local and national nonprofits. She’s raised millions of dollars through event planning, grant writing, capital campaigns, and major gift solicitations. Her “no-nonsense” approach to fundraising yields big results for her clients and followers.